Although it’s not one of the first series that comes to mind when I think of the term video game, the Star Fox franchise is something that I’ve had a lot of great times with over the last couple of decades. Fond memories include the first time my cousins showed me the original game, with its unique and stunning visuals, on their Super Nintendo Entertainment System, as well as the many hours I spent repeatedly playing through Star Fox 64 after my Mom bought it for me. Both games were infinitely replayable; something which was helped by branching paths and fun, arcade-y gameplay. And, when the N64 classic made its way to 3DS after quite a few years, it remained just as enjoyable as ever. Fast forward to today, and we’re about to see the return of Fox McCloud and his pals, Slippy, Peppy and Falco, via the Nintendo and Platinum Games collaboration, Star Fox Zero. A return to form after a lengthy hiatus, it’s a modernized and slightly altered take on what we all fell in love with back in the 90s. Unfortunately, though, while it’s inspired by classics and has some really good moments, it’s just not the same, and doesn’t live up to the quality precedent that its predecessors set. It’s not a bad game, however, and is still well worth checking out if you’re a fan of the series. 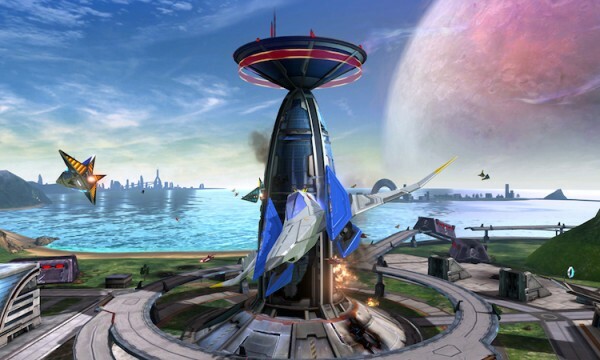 Acting as a reboot of sorts, Star Fox Zero tells the story of Fox McCloud, who’s summoned into flight-based service several years after the death of his father. He’s joined in his attempt to protect the galactic Lylat System by his father’s old wingman, Peppy O’Hare, as well as two other allies: grumpy Falco Lombardi and chatty Slippy Toad. Together, they form Star Fox, a platoon of Arwing pilots whose goal is to protect the galaxy. After war is unleashed upon the Lylat System by a familiar adversary, the Star Fox unit finds itself dealing with one Hell of a situation, and must do whatever it can to put an end to the enemy’s onslaught. This involves a mixture of space combat, explosive battles above different planets’ surfaces and some on-ground combat using the familiar tank and a seemingly new, bird-like walker. 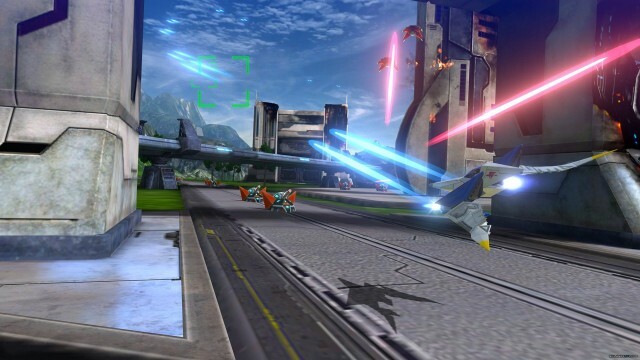 Other new vehicles also enter the mix in Star Fox Zero, including a small, drone-like helicopter, which Fox pilots around one open world. It has the ability to drop a small robot, who can enter into small crevices, hack computers and pick up collectibles like hidden coins and medals, though it honestly leaves a lot to be desired. Therein lies this game’s main issue: its deviation from the norm. Platinum tries to do too much here and introduces far too many things into what was already a great formula. There’s no need for a level to be based around a hard to control drone or its miniature robot friend, and it’s stages like that which really put a damper on the title’s entertainment factor. Most of the space combat is pretty entertaining, and the same is true of the levels that stay true to the original games’ vision, but even they aren’t up to par with what I fell in love with years ago. That’s not to say they’re poorly designed, but it does feel like something is missing. Control is another thing that will turn some people off. That’s because, for some odd reason, motion control is shoehorned into Star Fox Zero. You control the ships and other vehicles by moving using the left joystick and controlling your speed with the right stick. 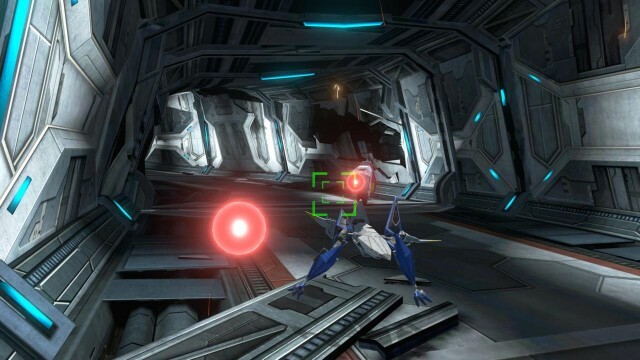 However, aiming is predominantly controlled using motion, via the GamePad’s gyro sensor. This means that you should play by holding the GamePad out in front of you, while twisting and moving it slightly in order to make the on-screen aiming reticule move as you need it to. Thankfully, the motion controls aren’t awfully designed. They’re just annoying to have to deal with in general. Call me an old fogey if you’d like, but I’ve been sick of motion for quite some time, and much prefer to game using traditional controls. It’s nice that Nintendo allows you to use other control methods, like the WiiMote and Nunchuk combo and Pro Controller, but those are for co-op play as opposed to solo conquests. This wouldn’t be as problematic if the lock on feature was implemented better than it is, but it doesn’t really work all that well. Instead of allowing you to easily aim at chosen targets, it’s mostly used as a way to show you where individual targets are. So, when you have a familiar adversary on your six, pressing the target button will put a yellow icon over him and your camera will focus on his ship. You’ll have to maneuver around in order to actually get your sights on him, though, and that’s often more frustrating than fun. What’s good about Star Fox Zero, though, is how it continues the games’ trend of optional pathways and hidden levels. Depending on how you play, you may find planets and boss encounters that your friends won’t, and you may also find that going back to improve your scores becomes a tempting treat, especially if you have pals who are leaderboard junkies. Most of the replay value comes from this, the game’s bonus mode, finding all of its hidden medals and exploring all of the portals that appear on different planets. What are portals? Well, they’re fast travel points that can be triggered by doing something different on a level, and exploring alternate pathways. The first one involves the inaugural stage, wherein switching to the tank and going over a switch will allow you to venture down a different avenue and into a challenging ‘hidden’ boss battle on a far away planet. You can’t access this part of the game until you acquire the tank and get the ability to switch to it at the press of a button, which gives you reason to return to completed levels later on. Some levels do require you to switch forms at will, though, and some will also force it upon you. 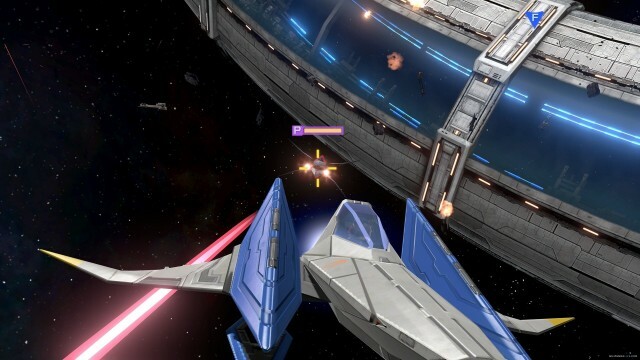 The Arwing is always best, but whenever Star Fox Zero switches to a more exploratory 3D design, it loses its charm. The good thing, though, is that there is an optional training mode where you can test your skills on different courses and earn medals for your efforts. It will take a little while before you’re used to how things work, regardless of which path you choose, and I don’t think this is a game that will stand the test of time like its predecessors did. That’s not to say I recommend against playing it, or that I hated it. It just wasn’t all that it could have been, and I found that Platinum’s decision to increase the standard difficulty level (which seemingly cannot be changed) was frustrating. I did beat the game, but it wasn’t as fun as Star Fox 64 because it felt cheaper and sometimes unfairly difficult. That said, Star Fox Zero wasn’t originally conceived as a Star Fox game. It was apparently originally developed as a tech demo for the original Wii. That didn’t work in its favour either, despite an overhaul after some poor previews a year or so ago. This shows in its presentation, too, because while it looks pretty good overall, the game is not a technical showpiece for the Wii U. One good reason for this is the fact that it runs on both the TV and GamePad at the same time, forcing concessions to have to be made. The visuals aren’t bad, but they do look a bit dated. The audio is also fine, and there’s little to complain about there, outside of Slippy’s annoying dialogue getting repeated from time to time. The chatter doesn’t come from your speakers this time around, though, and is instead confined to the GamePad itself. 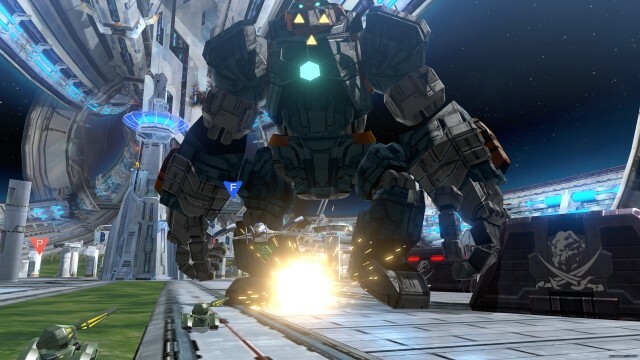 Overall, Star Fox Zero is a mixed bag. As much as I wanted to love it, and went in hoping to, it’s just not up to par. That said, par for a standard game in this series is something I consider to be pretty high, given how great the original and its Nintendo 64/3DS sequel were. If you’re a fan of the genre, a Star Fox junkie, or someone who’s simply curious about this type of experience, Star Fox Zero is worth checking out. It’s just not what it could’ve been, and hovers between decent and pretty good as a result. That said, it’s still a pretty enjoyable way to spend some time with one of gaming’s most iconic characters. This review is based on the Wii U exclusive, which we were provided with.